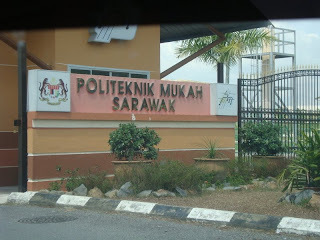 I was at Mukah, Sarawak on the last 22nd and 23rd June 2009 for a FOSS Seminar organized by a Polytechnic college there. The polytechnic invited speakers from OSCC-MAMPU and Eric (an OSCC-MAMPU staff, an OpenSuSE Ambassador, and also a contributor in Fedora-My activities) invited me to tag along with him as a speaker. The event attendees were primarily lecturers and staff from Mukah Polytechnic itself, Kuching Polytechnic, and several nearby colleges. It was a 2 days event where the first day was mainly filled with talks related several FOSS topics: "What is FOSS", "Trends in FOSS world", "GNU/Linux", "Security in FOSS", "Interoperability – Making FOSS and Windows play nice", and "FOSS development tools". Ok, I need a presentation clicker. But too lazy to find cheap ones out there. I have a Thinkpad R51 with Intel IPW2100 wireless card with no bluetooth, a Sony Ericsson P990i, and a Fedora installation. So, what I can do with them to get a presentation clicker?. A little googling led me to this nice little tool : AnyRemote. It provides a Java client and a server tool which allows the user to control of various Linux apps using a phone with bluetooth or WiFi support (theres also infrared support, but i dont think it worth it due to the limitation of IR and requires more setup). AnyRemote is in Fedora repository , so, Fedora users can just install it by yum install anyremote anyremote-data. Read about the new features in Fedora 11 Leonidas. What are you waiting for? grab your copy now!. Or perhaps be a part of the community and lead the way for the next Fedora !!! 31st May to 3rd June mark the date of the first MSC Malaysia Open Source Conference. The event gathered together a large number of local IT executives and developers in a packed 4 days event filled with lots of FOSS related talks and side events. Fedora Malaysia team was invited to get involved in the event, and naturally, we accepted and and 31st May mark the date of Fedora Malaysia team's first Fedora Activity Day!. It all started as simply an event where Fedora-My will be getting a kiosk booth and a room space - shared with Ubuntu-My, OpenSuSE-My, MyBSD, and other local communities - for an install party. 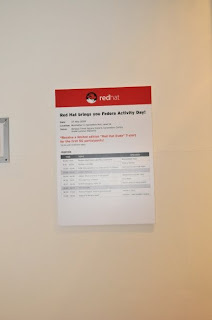 But the involvement by Red Hat APJ as a platinum sponsor of the event changed the direction for Fedora-My.